﻿ Using Wire Mesh at Home - Anping County Zhuoda Hardware Mesh Co., Ltd.
Woven wire mesh with very small openings is often called wire cloth. It is the most popular variety of wire mesh because it is widely used in screens for windows and doors. Wire cloth comes in a number of different opening sizes. 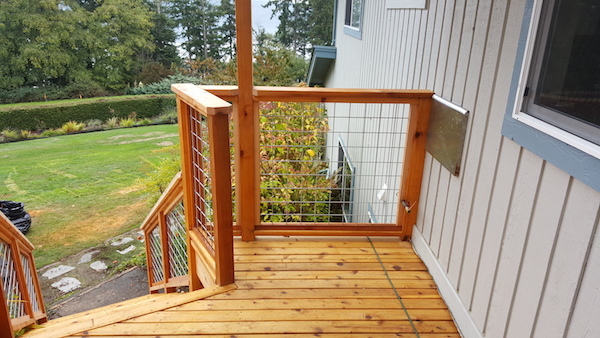 If you’re looking to create airflow, but keep small bugs out, wire cloth is for you; it is the perfect material to use for enclosing a porch or patio. Welded wire mesh is used for more heavy-duty jobs. In this kind of mesh, the wires are welded together at each cross section, which makes for a very sturdy product. Heavier gauges are often used in commercial and industrial settings to create barriers or for security. Around the house, however, it is most often found in fencing. Knit wire is commonly referred to as chicken wire. Though its original purpose was to provide an inexpensive barrier for livestock, chicken wire has found its way into many interesting and imaginative applications. Closely related to knit wire is the chain link fence (also considered a mesh). Installing a chain link fence is very inexpensive, very durable, and is used all over the place where a low-cost, highly effective barrier is needed in a hurry.